Lior Argaman is the Director of the Youth and Young Adults Engagement Department of the WUPJ. She started this role in January 2018, after 10 years of work for the WUPJ. Lior has served as the Director of Shnat Netzer, the leadership gap-year program of the WUPJ, for 7 years in total, and was sent to be an emissary (shlicha) for Netzer and the Progressive movement to Melbourne, Australia. 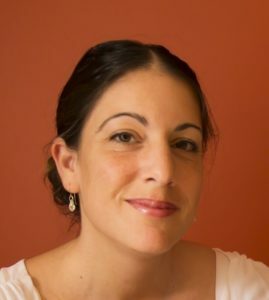 Lior holds a BA in Social Work from Hebrew University in Jerusalem and an MA in Jewish Education from Hebrew Union College – Jewish Institute of Religion (HUC-JIR) and Hebrew University. She lives with her husband and three children in Modiin, Israel. Please fill out this form to share "About Lior Argaman, Director Youth & Young Adult Engagement" via e-mail.